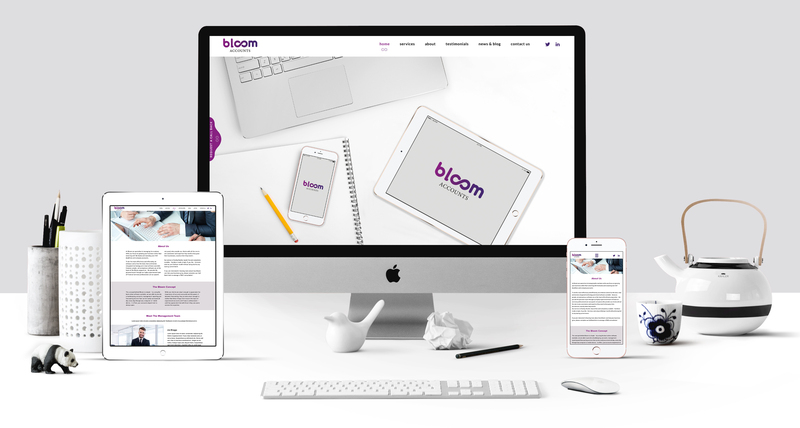 Bloom Accounts, a new, UK online bookkeeping and accounting services company has launched with offices in London, Hertfordshire and Gloucestershire. The concept behind Bloom is simple - it combines robust online technology with the personal touch of a team of experienced accounts and finance professionals and a flexible support structure. This means Bloom is able to provide a holistic, scalable bookkeeping, accounts, management reporting and forecasting service that can be easily accessed 24/7, through any computer or mobile device. Bloom Accounts’ services start at just £289 per month without tying clients in to any long term commitment or contract. Friendly, hassle free and completely adaptable to the requirements of individual clients, Bloom Accounts is specialising in servicing the burgeoning SME sector and will be particularly targeting ‘time-poor’ owners and managers across a diverse range of business sectors. Bloom Accounts was co-founded by seasoned financial services experts Peter Timothy, Michelle Phillips and Darren Phillips, who spotted a gap in the SME bookkeeping and accountancy services market. From years of experience they realised that in addition to requiring the ease and versatility of real-time access to day-to-day bookkeeping and accounting,SMEs also regularly required high end, one-to-one assistance and expertise on an ad hoc basis to help grow their businesses. Bloom Accounts has been established to meet this requirement, providing one-to-one guidance from a highly experienced accounts and finance team to clients as and when they require it and covering areas such as year-end accounts, business finance, VAT and dynamic forecasting. Bloom Accounts Ltd is licensed and regulated by the Institute of Certified Bookkeepers (Practice licence No. 17607). This press release was distributed by ResponseSource Press Release Wire on behalf of Brandnation Integrated Ltd in the following categories: Business & Finance, Retail & Fashion, Manufacturing, Engineering & Energy, for more information visit https://pressreleasewire.responsesource.com/about.